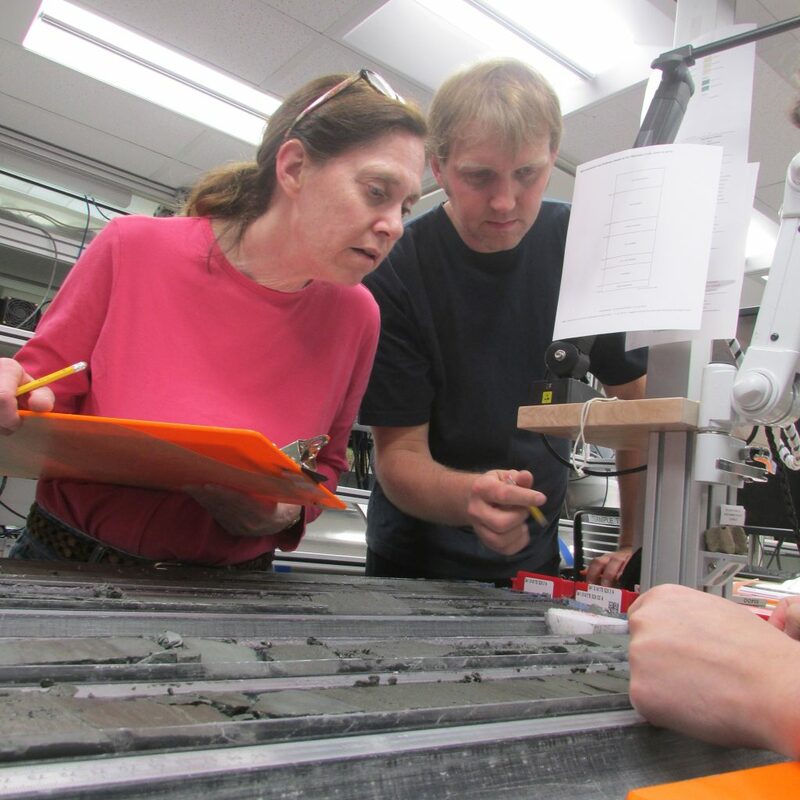 I will study the sediments in the cores, i.e. clay, silt, sand and gravel and I want to find out what they can “tell us’ about the climate in the past, as well as submarine landslides. I find it very fascinating to learn about and investigate “the darks of the deep”, because they can tell us incredibly much about the evolution of the Earth. Furthermore, it is very nice to be on the ship with many other people from all over the world. No! I wanted to be a pilot. But then I got too tall…and in addition to that I did very bad at A-levels. I ended up in geology because I met some cool people who were geologists and then I got totally fascinated by the topic. We haven’t started in the lab yet, but usually people listen to any kind of music. Sometimes people are listening to music that they would never listen to at home…maybe people are getting weird after a few weeks. I am travelling (too much), do research and teach students. In my spare time I often shovel snow so I can get out of my house, I look at the Northern Lights or the Midnight Sun. I would do everything to get rid of injustice and poverty.